This Blade Was Meant for Walking. 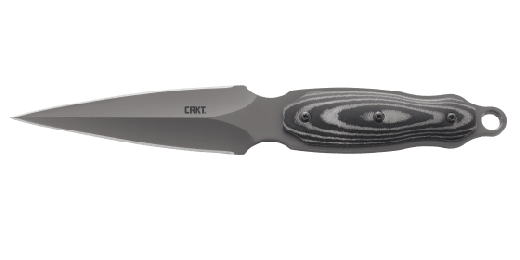 A fixed blade tactical knife featuring two edges and one solid piece of hot forged steel, it knows its place—clipped to your boot. Crafted by A.G. Russell of Rogers, AR, The Sting™ displays one of the inventors of the modern knife industry’s attention to detail. After all, despite all his awards and achievements, he is first and foremost a custom knifemaker. A virtually indestructible spear point blade begins life as an ordinary blank of 1050 carbon steel, similar to the alloy used in traditional Samurai swords. It’s then hot forged and precision ground into its final shape. Dual cutting edges give you twice the protection and double the attitude. We then apply a black non-reflective powder coat finish to resist corrosion in tactical environments that are as tough as you are. Grab hold of the handle and feel how it’s perfectly contoured to fit your bare or gloved hand. Notice its heft, balance and thumb detents for grip. There’s even a large lanyard hole so you can use it with a wrist lanyard, or carry it as a neck knife. When it comes to defense, this blade means business. 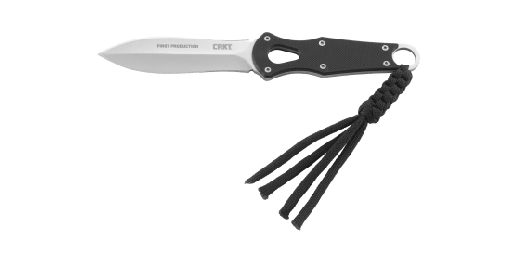 The CRKT® Sting™ comes complete with a custom nylon-stitched sheath with a glass reinforced nylon insert and a strapping option for versatile gear attachments or a clip for attaching it to your belt, pack or boot. Wherever it sits on your gear, it won’t be sitting there for long. Strap it down and take it into any situation. It’s ready to battle with any environment. Simply put, A.G. Russell eats, sleeps and breathes knives. 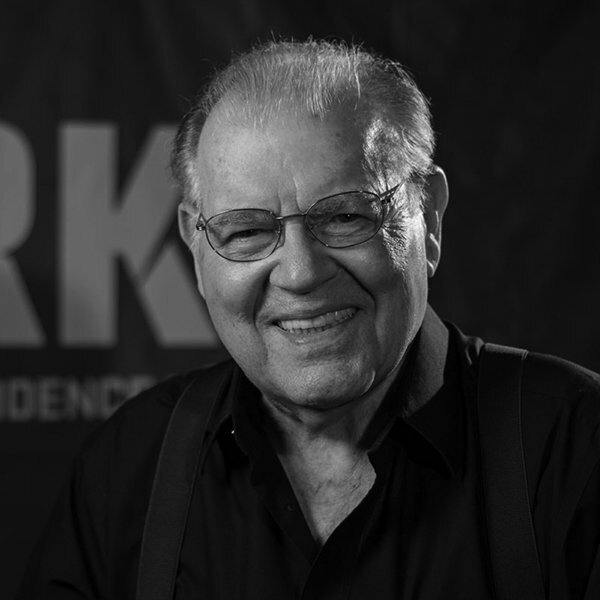 He was the first member of the Knife Digest Cutlery Hall of Fame, a founding member of the Knifemakers’ Guild, founded the Knife Collectors Club™, and started the first mail order knife business. Even with a pedigree like that, if you ask him what he enjoys most, he’ll still tell you it’s designing custom knives.